Backend nodes act like one big node - The backend nodes should act like one huge node, allowing efficient use of resources and flexibility in where torrents are placed. 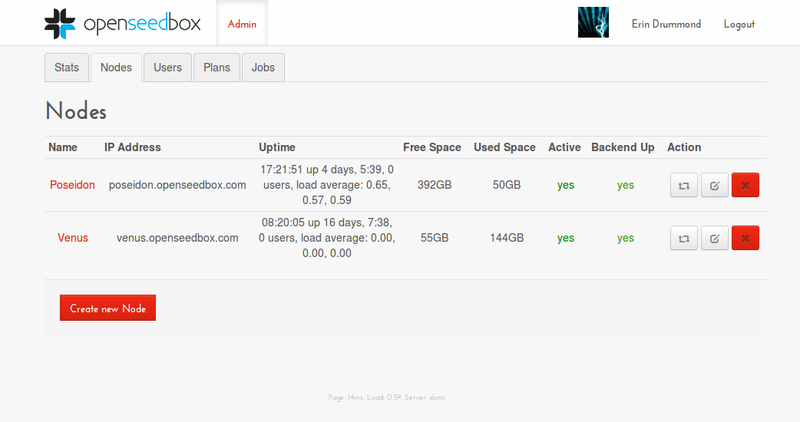 OpenSeedbox has a frontend node (called the client) that farms out requests to as many backend nodes as you like (called servers). The client holds all the state and the backend nodes are just dumb torrent downloading machines. Installation is covered in the README file here. OpenSeedbox is licensed under the GNU General Public License v3. I originally created it for my flatemates and myself to use, but I decided to release it as open source because I thought that other people might benefit from it too.